Arthur (Art) Grice was based in North Vancouver at the time he took these photographs. These images were created in 1972 and 1973, so some of the buildings no longer exist. The row of houses shown above is one example. Below, you can see the Birks Building on the left and the Vancouver Block on the right. The Vancouver Block has a Birks sign on top. 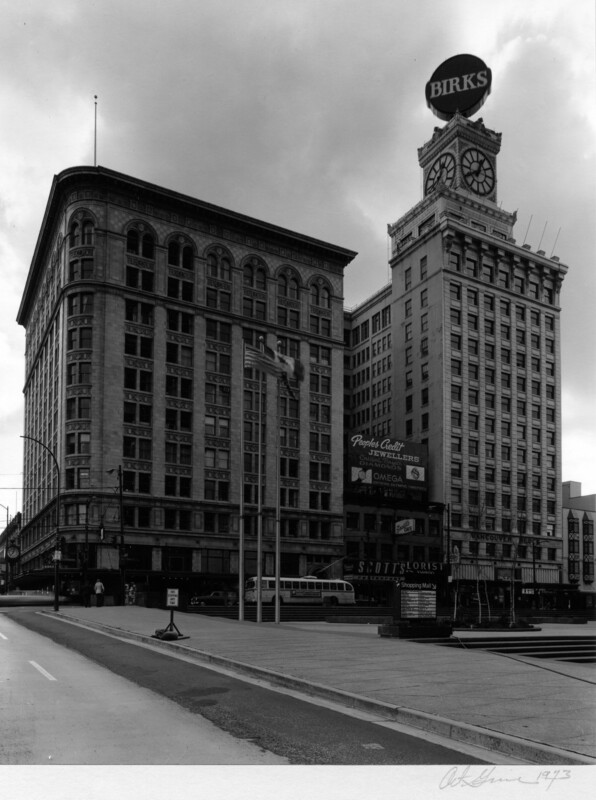 Birks Building and Vancouver Block, 1973. Reference code AM1536-: CVA 70-11. The Birks Building was demolished in 1974. The Vancouver Block still stands. 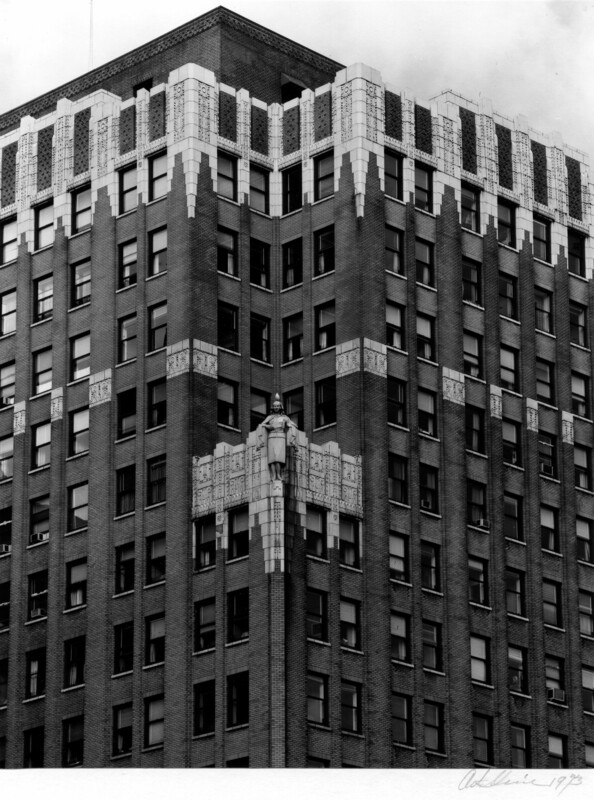 The Georgia Medical-Dental building was well known for its terra cotta nurses. Below is a view of the building showing one of them. Georgia Medical-Dental Building, Nursing Sisters statue, 1973. Reference code AM1536-: CVA 70-28. This building was demolished in 1989. 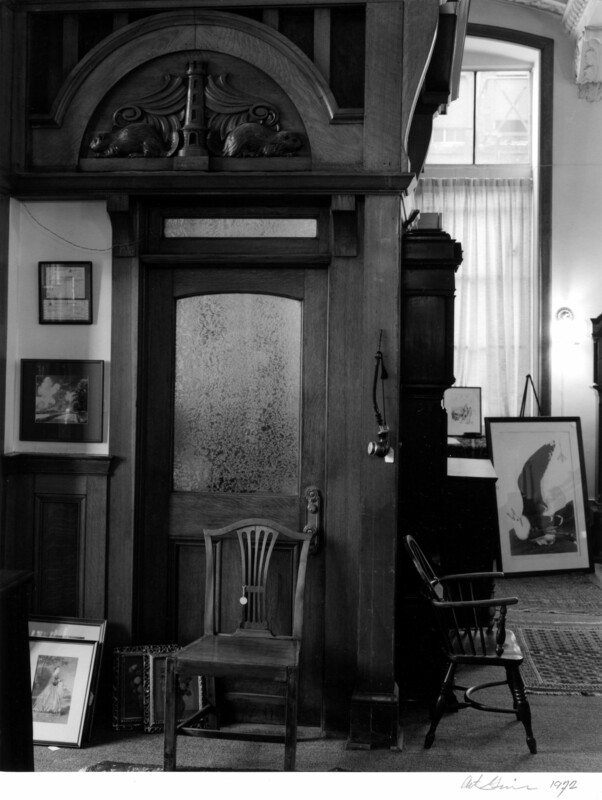 The fonds also contains photographs of details and interiors. Here are a couple of interior views of Century House from different years. Century House, 432 Richards Street, interior staircase, 1973. Reference code AM1536-: CVA 70-34. 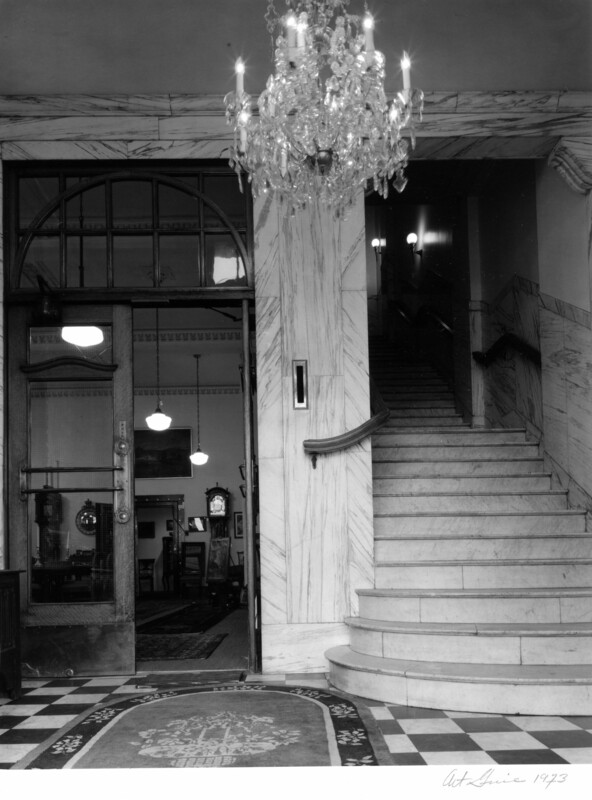 Century House, 432 Richards Street, interior entranceway, 1972. Reference code AM1536-: CVA 70-35. 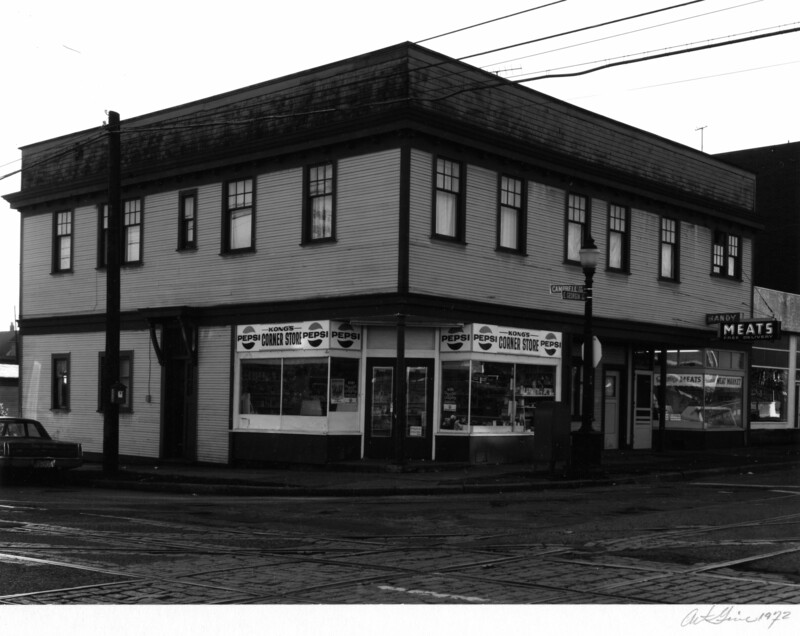 Some of the images in the fonds are of ordinary neighbourhood buildings, such as this corner grocery. Kong’s Corner Store and Handy Meats, Campbell Avenue and East Georgia Street, 1972. Reference code AM1536-: CVA 70-67. 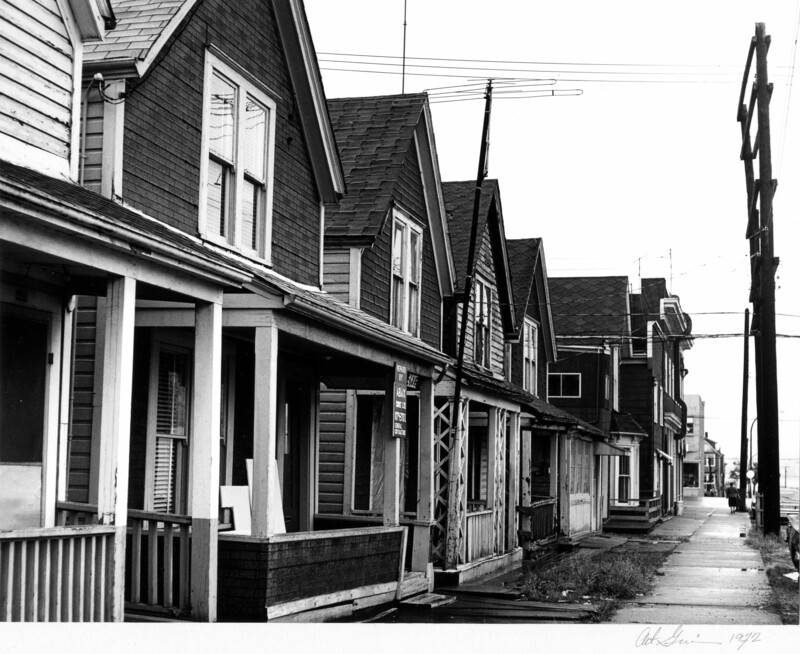 We are grateful to Art Grice for donating the copyright for these images to the City of Vancouver. Art is still an active photographer and has a personal website. This entry was posted in Digitization, Holdings and tagged photographs. Bookmark the permalink. The first photo is of the 400 block of Heatley Ave and I can assure you they are all still there. I’m in one of them now. Century House, was not a house, but a commercial building. Now it has a Vancouver City “Blue Plaque” on its history. Grocery store still there, but boards on windows for the usual reasons. Thank you for spotting that. The photo had been identified on the back as Hawks Avenue, but the Heatley Block is clearly in the background, and we’re looking north from Pender.